In the recently finsished ICC T20 World Cup 2016, the only thing which was common and for which Wankhede pitch is known for is runs. It is one of the best pitches for batsmen. In the WT20, teams even chased down massive targets of like 229, 192, and 182 with ease. If the ground remains the same, then 200 runs are expected. Keeping the good batting side benefit in mind, the toss result becomes a key point of the match. That is why India lost the semifinal to West Indies. It all started with losing of the toss, followed by India batting first, then dew working against bowlers in second innings. Then, the opposition got favorable condidtions to chase down the target. Both teams looks very good on cards as they have good squad based on which both are capable of clinching the title. However, Mumbai side will be under pressure as they defending champions and would definitely like to start the tournament with a victory. Moreover, they had defeated Dhoni led CSK in the final last year. Mumbai Indians have made some minor changes to suit the current need. Majority of the squad from last season is same. The good tweaks includes the inclusion of Jos Buttler, one of the best T20 batsmen. If Buttler gets to play as per his form, he would prove devastating to RPS. On the other hand, Rising Pune is one of the two new teams this season. Thus, Pune Supergiants would be looking to settle down with a perfect playing eleven. Under the coaching of Stephen Fleming and captaincy of Dhoni, RPS is almost like CSK so the team should do well as per the expectations. The unity and strength of new team RPS will be seen against Mumbai Indians today. Dhoni and Fleming has all the required players. The key to successful game is the right balance and position on thier side. The team need a right combination of four foreigners and seven indian players in the playing XI. Mumbai Indians: Rohit Sharma (C), Lendl Simmons, Ambati Rayudu, Corey Anderson, Unmukt Chand, Kieron Pollard, Parthiv Patel, Mitchell McClenaghan, Lasith Malinga, Marchant de Lange, Akshay Wakhare, Harbhajan Singh, Hardik Pandya, Jagadeesha Suchitch, Jasprit Bumrah, Nitish Rana, R Vinay Kumar, Shreyas Gopal, Siddhesh Lad, Jos Buttler, Nathu Singh, Tim Southee, Krunal Pandya, KP Kamath, Jitesh Sharma and Deepak Punia. Rising Pune: MS Dhoni (C), Ajinkya Rahane, Faf du Plessis, Kevin Pietersen, Steve Smith, Mitchell Marsh, Ravichandran Ashwin, Adam Zampa, Thisara Perera, Irfan Pathan, Albie Morkel, Saurabh Tiwary, Baba Aparajith, Murugan Ashwin, Rajat Bhatia, Ankush Bains, Ishant Sharma, Ankit Sharma, Jaskaran Singh, Deepak Chahar, Ashok Dinda, Scott Boland, Peter Handscomb, RP Singh, Ishwar Pandey. 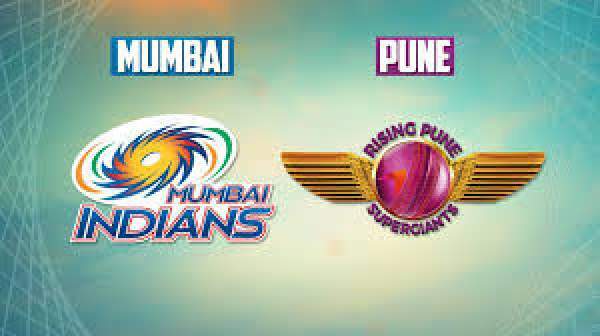 Mumbai vs Pune (MI vs RPS) is to start at 8 pm IST. In the host country, the live telecast of opening match will be done by Sony Max, Sony Six, Sony Six HD, Sony ESPN, and Sony ESPN HD. If you don’t have access to TV, then head towards online mode and live stream it on Hotstar and Starsports.com. The US residents can catch MI v Pune on ESPN and can be live streamed on Watch ESPN. Canadians can catch Pune vs MI on Sportsnet and Watch Sportsnet. The UK and Ireland audience can watch the broadcast on Sky Sports 3 and it can be streamed on Watch Sky Sports and Sky Go. For the people living in the Middle East and North Africa, OSN Sports Cricket has made the required arrangements. The option to stream it live is on OSN Cricket Play. In the South Africa and Sub Sahran Africa, Mumbai Indians vs Rising Pune Supergiants Live Streaming can be done on Supersport 2 and Supersport Live. Rest of the world of about 133 nations, can watch IPL 2016 matches live online on Cricketgateway. Stay tuned for more news.